Marshall, Gerstein & Borun LLP understands the advanced technology needs and worldwide business focus necessary for success in the aerospace industry. 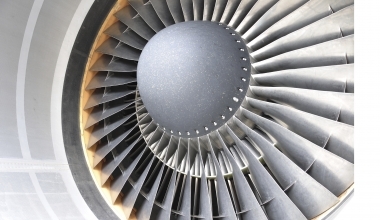 Our Firm has helped market-leading global providers of commercial and military aircraft, jet engines, avionics systems, and air cargo handling equipment manage a wide range of intellectual property and related business matters. Our clients appreciate the multidisciplinary approach that Marshall Gerstein lawyers bring to all of their patent needs. Our depth of knowledge and practical experience extend to the fields of aerospace engineering, mechanical engineering, electrical engineering, optics, and computer science, as well as defense-industry innovations and weapons technology. Drawing on our in-depth capabilities, we provide innovative, integrated legal and business solutions. For aerospace clients based in the United States and Europe, we have negotiated licensing agreements and defended their platforms and systems from infringement claims. Our lawyers—one of whom has an aeronautical engineering degree from the U.S. Air Force Academy and an Airline Transport Pilot license, including type ratings for the Boeing 737 and DC-9—have worked with sophisticated aerospace technologies in the U.S. Air Force and private industry and fully understand the industry’s competitive requirements.